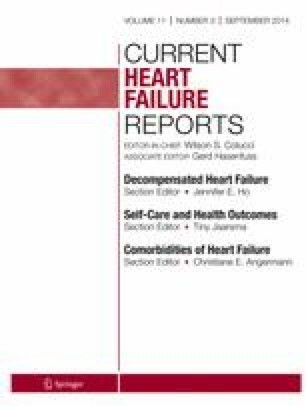 Patients with heart failure (HF) exhibit a wide range of symptoms, including dyspnea, sleep-disordered breathing, autonomic abnormalities, cognitive dysfunction, and neuropsychological disturbances. These symptoms, which affect quality of life and morbidity and mortality in the condition, are largely related to structural and functional changes in the brain. There are increasing reports of brain abnormalities in HF, but often the linkages between brain injury and common HF clinical symptomatology are not clearly described. In this review, we will discuss the current evidence of brain injury and the associated clinical symptoms in HF, focusing on those brain regions that are commonly damaged in the condition. We will also provide a brief exploration of some potential mechanisms for brain injury in HF. Jennifer A. Ogren declares that she has no conflict of interest. Gregg C. Fonarow has received support through grants from Gambro, NIH/AQRO, and the Ahmanson Foundation, and has received compensation for service as a consultant from Johnson & Johnson, Medtronic, Novartis, Takeda, and The Medicines Company. Mary A. Woo declares that she has no conflict of interest.